Using four helicopters with a capacity of 6 passengers each, they are able to move 24 passengers every two hours with a maximum of two groups per day . 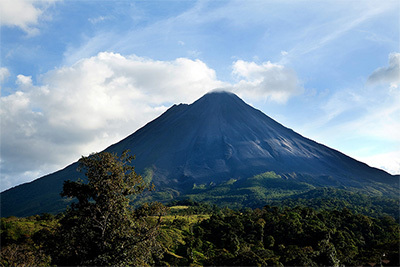 The pick-up point depends on where you are staying so the order of the sights may change, but includes the Pacific Coast, the northern Plains, Arenal Lake, the town of La Fortuna and its magnificent waterfall, followed by Arenal volcano, the Monteverde Cloud Forest, and a stop in the Arenal Reserve. Once landing, your group is guided through the beautiful tropical rain forest with hanging bridges’ and lots of critters. This reserve is part of the biological corridor that allows the flow of species that inhabit between the Volcanic Mountain Range of Guanacaste and the Tilarán mountain range. Later, enjoy a beautiful lunch and leisure time to explore the hot springs and gardens at Tabacón Resort at the base of Arenal Volcano. The Tabacón river flows through beautiful gardens, creating pools and water cascades with temperatures reaching 39º C (102º F). 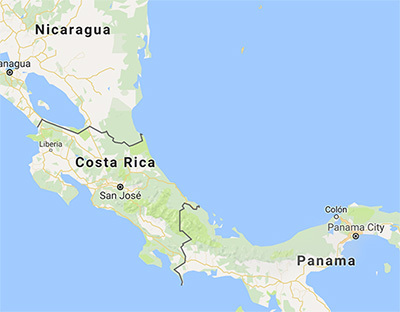 There is so much to do (and like) in Costa Rica. Add it to your consideration set (and I congratulate myself on using the phrase “consideration set) in a sentence. I have a lot of other great ideas in the queue and will keep them coming. Hope you can use them.